Touhou Project has been around for a long time and is mostly known for the massive shoot ‘em up genre. 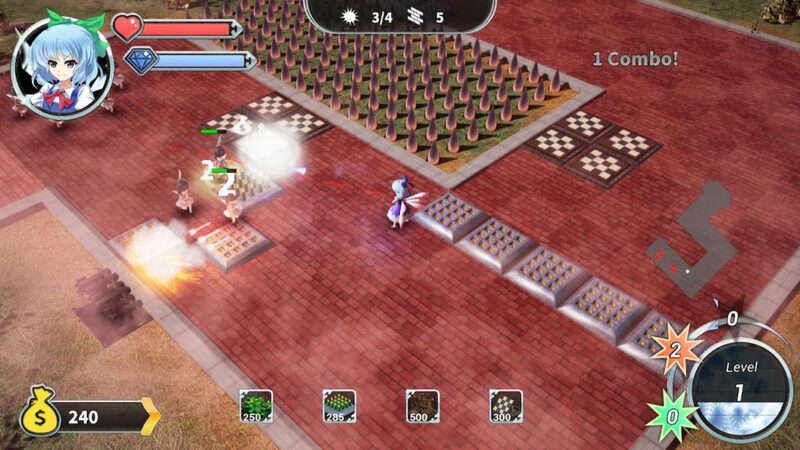 Gensokyo Defenders moves a bit away from this genre and introduces tower defense to the series. You’ll be able to see your favorite Touhou characters and play with the adorable ice fairy Cirno. Gensokyo Defenders was developed by Neetpia and published by Unties and we got a chance to review the game. The fairies are now playing War Games instead of Danmaku. 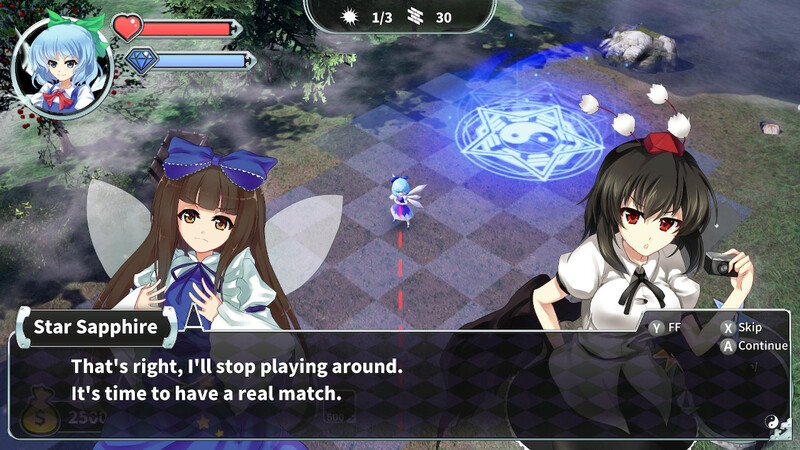 Since the Hakurei Shrine Maiden, Reimu, isn’t really interested in War Games, you will be following around the ice fairy, Cirno, while she challenges people. Cirno thinks she is the strongest of them all and she is willing to prove it by beating anyone she finds worthy. The war Games have piqued an interest in the Tengu reporter, Aya. In order to make a good article, Aya starts following Cirno around. After a few battles, Cirno realizes that she isn’t satisfied even if she wins. Aya then helps her realize that calling herself the “strongest” isn’t going to make her opponents take her serious. After that, she goes to apologize and actually makes an effort to properly challenge opponents. 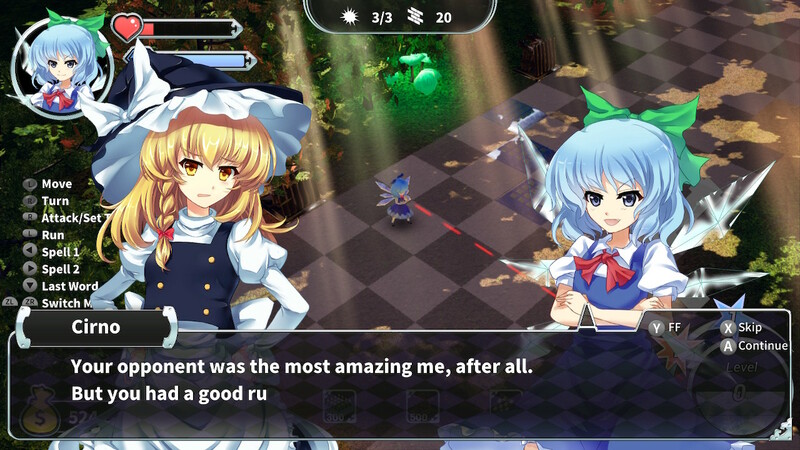 As you play with Cirno, you’ll find out more about her feelings as she talks to Aya and the other characters. You find out more about her reason to play War Games instead of Danmaku. You’ll be able to see many different characters from the Touhou series. The story progresses okay and even though it is mostly about Cirno and her wanting to be the strongest, it certainly isn’t boring. Gensokyo Defenders’ graphics aren’t the most spectacular but they certainly aren’t bad. During conversations, you’ll see 2D drawings of the characters that are talking. The poses of the characters never change but the expressions do change. It might have been nice if their poses would have also changed with their expressions. The actual gameplay of the War Games is in 3D. In this part of the game, the textures feel a small bit outdated. Even though it doesn’t look that bad, it for sure could have looked better, certainly with the technology that is available now. The music in Gensokyo defenders is mostly cheerful and relaxing. Sound effects are sometimes a bit random. You do realize what the specific sounds mean after a while but for example, the first time you hear an enemy walk over a trap, you might be reminded of someone hiccupping. Shooting sound effects sound pretty normal. Cirno’s magic spells sound very icy which is fitting. Voice acting in Gensokyo is really well done. The voice actors did a good job portraying the emotions of the characters. 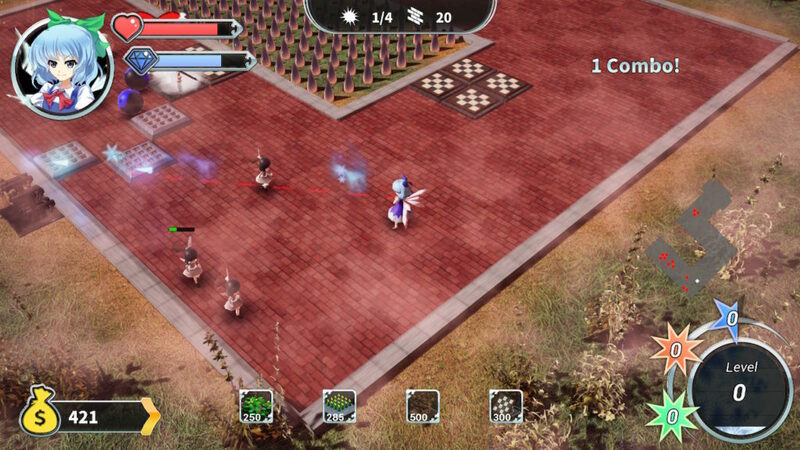 Gensokyo Defenders is an action, tower defense game. Instead of the typical shoot ‘em up like the Danmaku games in the Touhou series, Gensokyo Defenders makes you actually defend a base in what they call “War Games”. The first level you start out with is actually the tutorial. Even though you first play with the shrine maiden, Reimu, in the tutorial, you soon enough switch over to playing with the ice fairy, Cirno. Reimu her spells get explained in the tutorial but Cirno her abilities of course differ. You still get a few hints in the levels but it’s a bit odd that they explain Reimu’s spells and then switch over to Cirno. You’ll be able to play with other characters after you unlock them in the story though. The game’s basics are pretty simple; you have a base that you will have to defend. If the base’s HP drops to 0, it’s game over. Now to defend your base, you’re on your own. You have a basic attack that shoots projectiles at the enemies. Then you also have a different arsenal of traps. To place these traps; you get some time in-between waves. In nearly every level you play, you will unlock new traps. After a while, you will have to choose which traps you want to take to a level because you can only take four traps with you. Some traps do damage and others hold enemies back. As you keep playing you’ll also unlock the ability to upgrade the traps. You don’t get a whole lot of points to upgrade and it isn’t really clear where the points come from. How to upgrade is also not really explained because each trap its upgrade is divided into levels, so each trap has a level zero to level two upgrades. You would logically think that you’d first have to complete the level zero upgrade but no you can just pick whichever one you would like. The price for each upgrade is the same, each time you pick that level of upgrade, that level’s price increases. Each trap’s increase in levels is the same. Some traps are more useful in some levels than others. For example, the spring floor is pretty useless in normal levels, but from the moment water is included it becomes incredibly handy. When an enemy gets thrown into the water with a spring floor trap, they instantly die. If there is just ground where the Spring Floor is aiming, the enemies just get pushed around a bit and that’s all. The most useful trap is the Bamboo Spear Floor. This trap damages enemies when they walk over it, so placing them in one line so enemies can’t avoid them is incredibly useful. Floor traps don’t work on flying enemies though. This is where the Watchtower trap comes in. You’ll have to place those on a free spot to the side of the path. They will shoot projectiles when your opponent passes them, then they will reload and shoot the next enemy that passes. 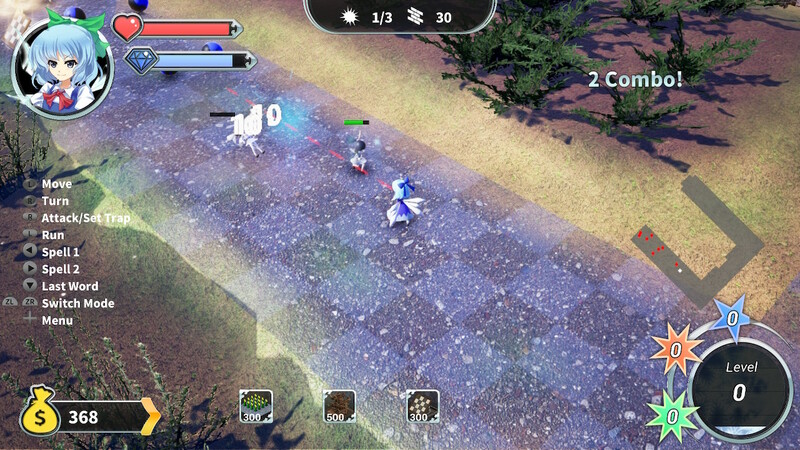 Besides traps, you’ll also be able to use three different spells against enemies. Two of your spells will use your MP but can be used over and over again as long as you still have enough MP. One other spell is your special and requires you to first fill up your special meter. This meter fills up slowly while you defeat enemies. Cirno’s spells are ice attacks, which is quite logical for an ice fairy. Her first spell freezes enemies and the second one fires a sort of ice wave at enemies. When you first freeze enemies and then do the ice wave attack, you’ll do a lot more damage than when you just use the attack. Cirno’s special freezes and damages enemies plus also spreads to other enemies that come close. It’s a really handy attack to use in a pinch. During the first few levels the enemies are pretty basic, with rolling balls and walking fairies. As you play more, harder opponents start to appear. Some of them are easy to understand and see the difference, white balls roll faster than blue balls so they should be beaten first for example. However, sometimes new enemies appear that take you by surprise. For example, flying fairies can fly over ground that isn’t the laid out path. Because of this they actually take a shortcut to your base. Since they never got introduced they just suddenly fly over to your base without you noticing. Flying enemies can also only be stopped by the watchtower, so when a whole group of them suddenly appears you’ll have to hurry over. Once you encounter them, you learn to keep an eye on the map to see if any red dots are taking shortcuts, so you can stop them. Gensokyo Defenders is a pretty amusing game that can be challenging. It sometimes can be a bit too challenging since not everything is really explained that well. You’ll have to replay some levels after you’ve developed a better strategy to get a better end result. This might add replay value but could also be skipped for the people that just play for the story. People that like Touhou Project but aren’t really good at Danmaku could maybe give this game a try to see if they like this genre of games better. 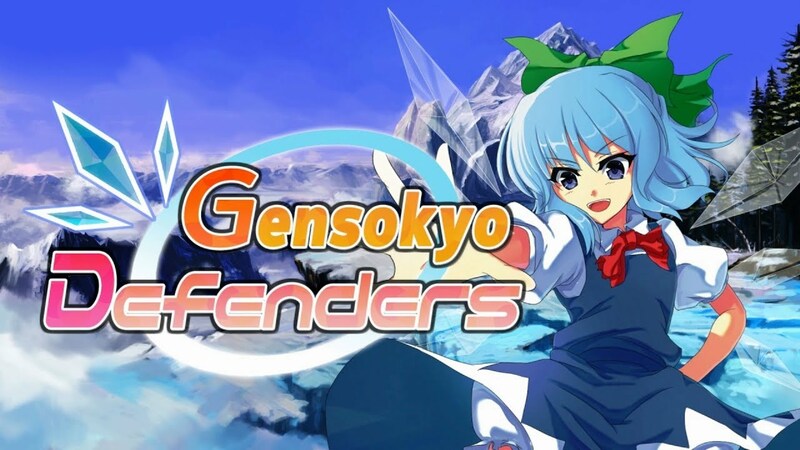 Gensokyo Defenders is a fun game that, certainly for a Touhou fan, would make a good addition to your Switch library.